When you are working hard to reach your weight loss goals, not seeing results for weeks on end makes it very difficult to stay motivated. But there are things that you can do to help the process along. 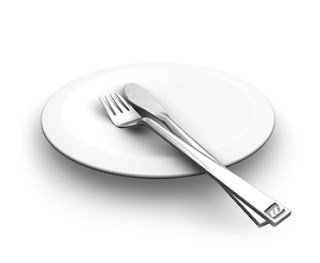 Often Intermittent fasting (IF) works very well to get weight loss started again, so I would try this first. Don't however do this unless you have trained your body to burn fat instead of carbs. This means you haven't been eating refined sugar or oils, legumes or grains for at least 3 weeks. IF has now been scientifically proven to be a great help with stalled weight loss and when you are a "fat burning beast" as Mark Sisson says, you will find this relatively painless because you automatically won't be hungry for long periods of time. But if you add a couple of days of IF to your plan and your weight still isn't budging, then chances are the problem is either too many carbs or too much protein. 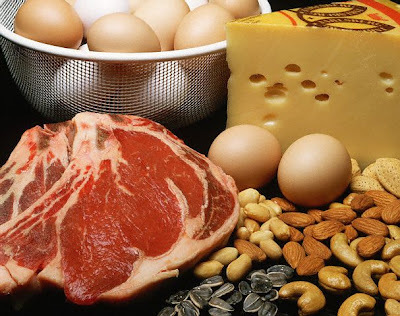 A lot of people don't know this, but if you eat too much protein the body will change this into glucose and store it as fat the same way it does with sugar. 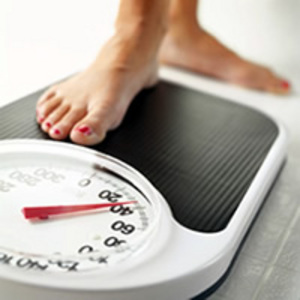 Mark suggests 1/2 to 1g of protein per pound of lean body mass, depending on how active you are. Obviously if you are only moderately active you will fall somewhere in the middle range. And remember this is NOT based on your weight, it's on the lean body mass which is less than your weight as a whole. This is why starting with the 100g he suggests and then adding or subtracting until you reach your ideal is the best method. Also, some people are a lot more carbohydrate sensitive than others and have to keep their carbs a lot lower than Mark's suggested guideline. If this is you I would suggest starting at 20 carbs a day - which is the Atkins recommendation - and then adding to that until you find your limit. Remember that even though we give up obvious carbs such as beans and grains when we eat Paleo, there are also vegetables such as sweet potatoes and even broccoli that can really add to your carb count if you don't watch how much you eat. When you're working on getting yourself fit and health again it's a good thing to keep track of your results along the way. You want to know what is and isn't working for you. All of this tracking and experimenting can seem like a pain, but it is worth it. 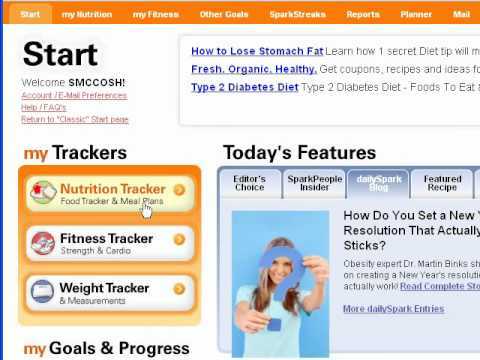 Finding the right amount of nutrients that works for you will allow you to lose weight pretty effortlessly and still eat until you are satisfied, and now there are several tools available to help you do this. You definitely want a specific place where you can write your results on a daily or weekly basis, and keeping track of what you eat and how you feel doesn't hurt either. By going over old records you can often see patterns of behaviour or food that you have eaten that you will want to change to get better results. So get yourself a notebook that you will enjoy using and keep it specifically for this purpose, or set up a special section in your planner just for this. Here are a few that you can easily keep with you in your purse or briefcase. 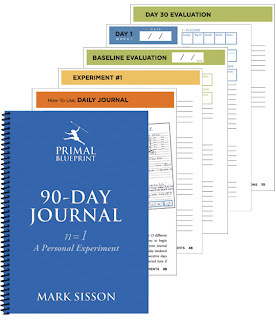 And if you want a Journal that is set up specifically for this kind of experimentation, there is now a great one available that you can use. This Journal is specifically designed so you can keep track of everything that you try and the results that you achieve or don't achieve. 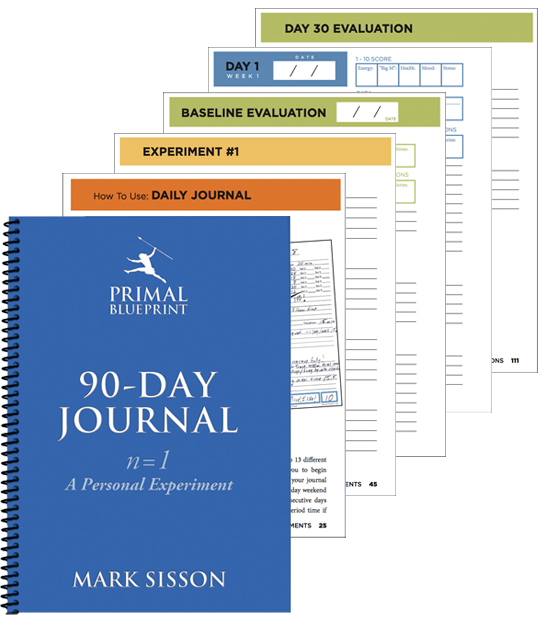 If you are not sure what does and doesn't work for you, Mark shows you exactly how to test and gives you a summary of the Primal Blueprint guidelines as well. 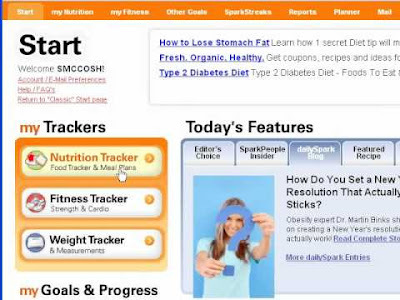 If you prefer to keep your records online you can use any one of the free programs that are available such as Fitday.com or SparksPeople.com These are very easy to use and both have a huge data base of foods. I especially like Sparkspeople because of all the different options that are available. 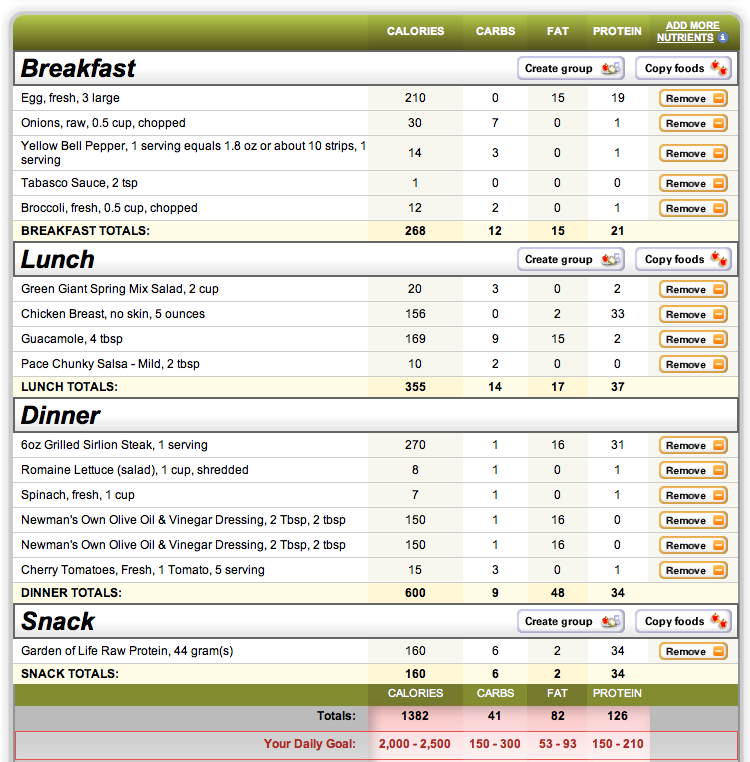 Not only can you keep track of what you eat and your exercise, but there is also a recipe option where you can work out counts for your own recipes and keep track of them in your favourites. When you sign up you will automatically have access to lots of recipes submitted by others, a lot of which are Paleo. This is not a Paleo site so I ignore the diet recommendations, but I can also see by many of the recipes that have been submitted that many people who eat Paleo are using this for record keeping just as I am. Every day you will create a record like this one above, and there is also a print option. I use Sparkspeople in conjunction with my Journal. 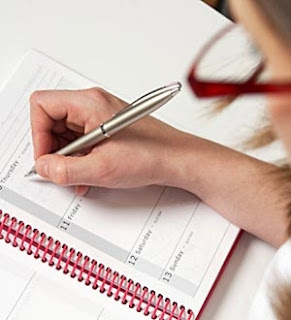 I keep a record there, but I also print out my daily records and put them into my weight loss Journal so I have a written record I can check easily when I need it. You can of course just do everything online, but because these programs are free and contain lots of ads, I have found that sometimes they load very slowly and using these several times a day to input information can take quite a bit of time. Also there are too many times when they are not available at all - whether because of system problems or just volume of traffic - so having a written record means I can see my stats when I want them. When I am eating and exercising to get in better shape, I weight and measure myself once a week and, as long as I lose weight or inches - even if it's just a bit - I continue to do what I am doing. You have to keep in mind that your body doesn't work on schedule, and you haven't really reached a plateau until you haven't lost anything (weight or inches) for at least two weeks. When you get to that point, you can then go over your food and exercise record and see where you can make some changes. Maybe you haven't been as strict about keeping to the guidelines as you should have been. Maybe you've had too many carbs. Or maybe you've just eaten too much of everything. Your notes will show you what the problem is and what you should change. Even though those in the Paleo world like to say that calories IN calories OUT is an outdated philosophy, like most things it's not all black and white. 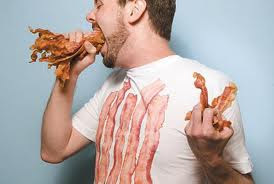 What kind of food and what kind of exercise you are doing is more important than how much, but in the end how much does count as well, as many of the guys who considered Paleo a licence to stuff themselves with steak and bacon found out. Protein is filling so you can eat more when you eat Paleo and you will want less which is also a benefit. But saying you can eat as much as you want is actually misleading. It's supposing that you won't want as much, and for most people that is true, but not for everyone. If you are an emotional eater, for instance, that is a whole different problem that you will want to address before you can really be truly successful at losing the weight. And there are people who can't lose weight for actual physical reasons. When you're body isn't working the way it should then sometimes you need to get professional help, and that is what I would strongly suggest if the things I've suggested are not working for you. You might need specific medication or nutritional therapy to solve an underlying problem before you can go on to lose weight, so please keep this in mind. I do believe that everyone can benefit from Paleo Low Carb eating and I do believe that if you really give it a good shot it will work for you. Unfortunately you might just be one who need a bit of tweeking by a good professional before it does. If you don't think any of the above applies to you, there is one more thing you can try. Increasing your carbs. Yes, I know it goes totally against everything you've read about low carb, but there is increasing evidence that is some cases it really works. Mark Sisson has written a post about it here. According to him, it's all down to leptin. If you are down to your last 10 or 20 lbs and they just don't want to budge, you might be low in leptin and a carb feeding just might do the trick to get things moving again. Mark explains the science in his post. 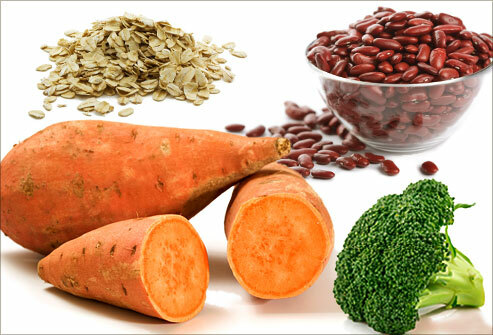 Of course, this doesn't mean going back to eating grains and junk food, but you can add a few starchy carbs like sweet potatoes and rice and see if that makes a difference. 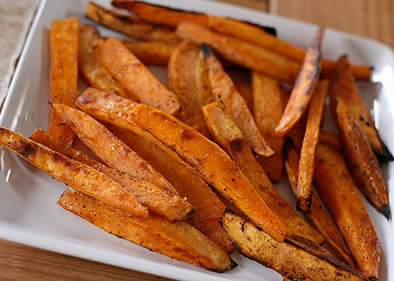 Sweet potato fries are a great and healthy occasional treat. "Improving leptin sensitivity is the real issue here, and a lowish-carb Primal eating and general lifestyle plan (with adequate sleep, smart training, and plenty of stress mitigation) is the best way to do that." So if you are obese then this isn't for you. Stick to Mark's recommendations and you will eventually see results. 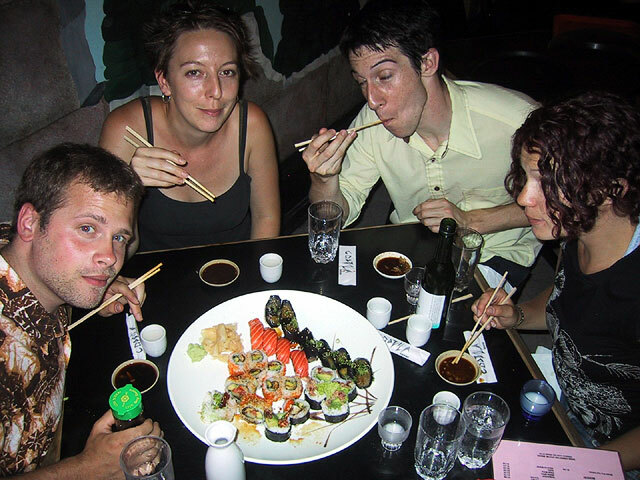 But if you are just looking to lose those last stubborn pounds, maybe go out and have some sushi with your friends. Not only will you have a great time, it just might make you thin as well!